Thank you for taking the time to visit the Cornerstone Dental website. At Cornerstone Dental, as an Okotoks Family Dentist, we welcome ALL new patients that want to visit our practice – no referral is required. Since we are conveniently located right in the in the Cornerstone mall in Cimarron Common. We are right next door to Quizno’s and the Harvest Moon Health Foods Store and directly across from Mark’s Work Warehouse. 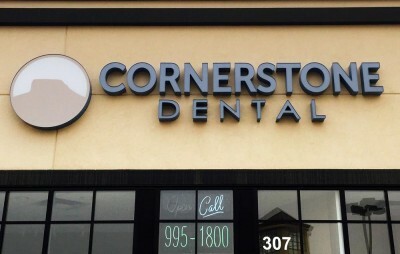 The dental team at Cornerstone Dental are pleased to offer patients, and their families all the services of a general dental practice including Dental Implants, Oral Surgery, Invisalign Invisible Braces, Restorative (Cosmetic) Dentistry, Orthodontics and Emergency Dental Services. 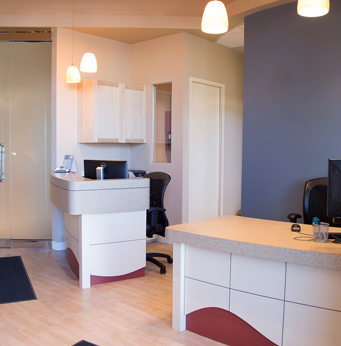 At Cornerstone Dental we combine our passion for dentistry in a warm and welcoming environment. It is our goal to keep each visit as relaxing and painless as possible. As and Okotoks Family Dentist, we believe that clear and effective communication is important. It is our desire to educate you as to what your treatment options are and to explain why we have recommended a specific treatment for you. Cornerstone Dental is pleased to offer our patients the option of direct billing your insurance (also called assignment). Our administration team will work with you to ensure that you get the most from your Dental Insurance benefits. For those patients who are are anxious about visiting the dentist, we offer a variety of relaxation options. Using Sedation Dentistry we can help you feel at ease so you get the necessary dental care you require. At Cornerstone Dental, we encourage you to book a new patient consultation so we can explore with you how to maximize your dental and oral health. request your Okotoks Family Dentist appointment today.